This tutorial is for my Best Friend, Joanne. Hold down the Shift key and press the letter D to make a duplicate photo. Close your original photo - you will be working with image1. In the Resize dialog box that opens choose the amount of reduction you would like. 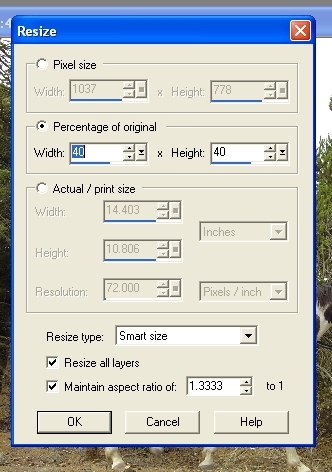 Make sure "Resize all Layers" and "Maintain aspect ratio" - are both checked. 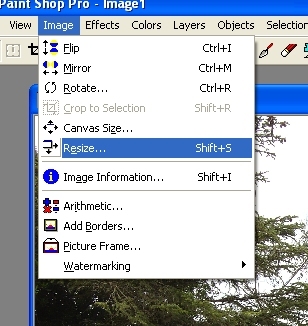 I prefer "Bicubic resample" for Resize type - but some people prefer "Smart size" Click OK.
Next decide if you want the entire graphic or only part of it. 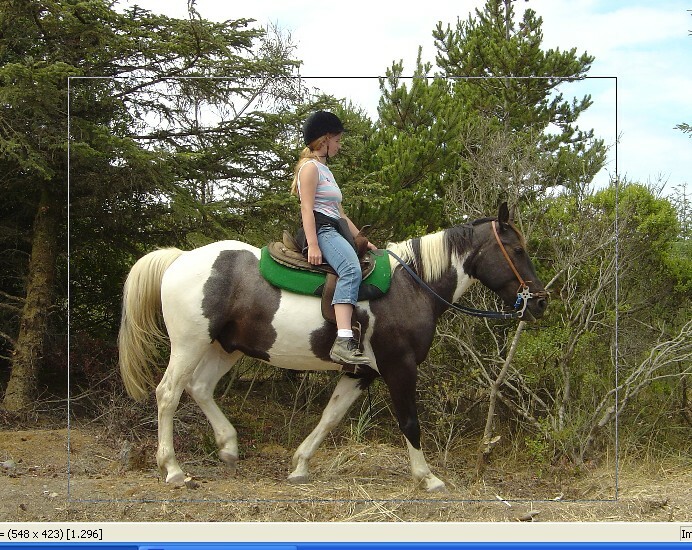 To get rid of the excess "scenery" around your graphic choose the crop tool. Use it to draw a box around the part of the photo you want to keep. Then go to Image - Crop.